From calling vendors to developing residence hall aesthetic identities to designing signs with braille, College of Design students are picking up real-world experience at the UO Housing Capital Construction office. The office, which works on capital projects on campus, has been partnering with the College of Design to recruit students for about five years. Interior Architecture graduate student Irikaa Pilana, Interior Architecture undergraduate Stella Christ, and Architecture graduate student Alexa Stewart all work in the office about 10–12 hours a week. 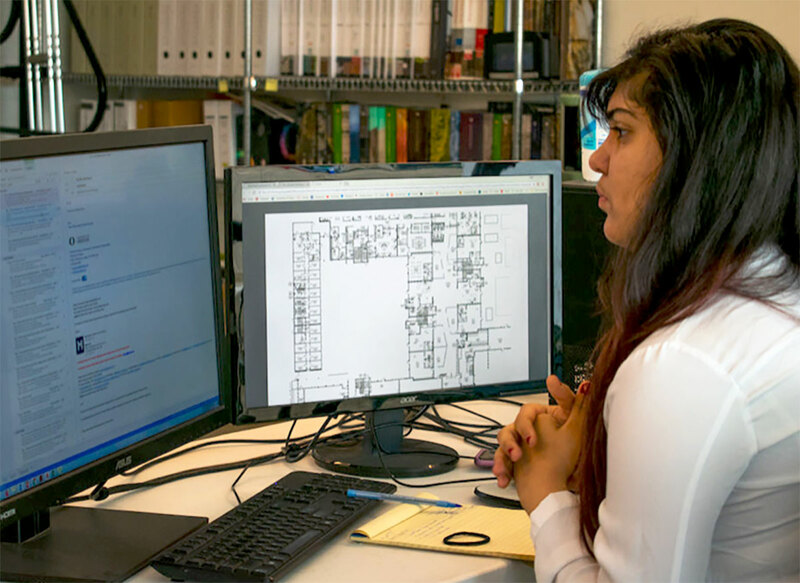 The paid positions do not receive college credit, but the hours can be applied to the National Council of Architectural Registration Board’s required 3,740 hours of experience to complete the Architectural Experience Program. “They learn about cost and durability of furniture and fabric, create bulletproof things, and have to be cost-conscious through it all,” Linda Zimmer, associate professor and head of the Department of Interior Architecture, told the Daily Emerald. “They take a designer’s vision and blend with it."